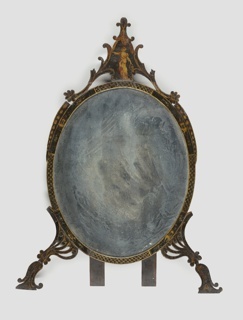 carved, gessoed and gilt wood, mirror glass, metal. 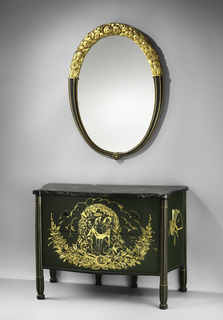 carved, gessoed and gilt wood, mirrored glass, metal. 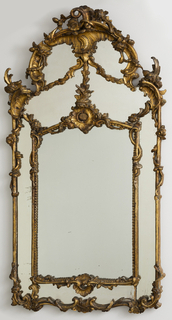 carved, gessoed and gilt deal, mirror glass, metal. 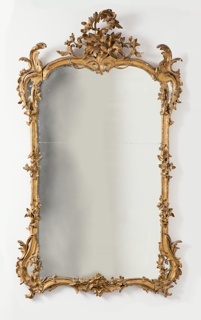 wrought iron, brass, silver, gold plating, glass. 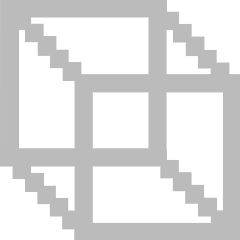 Lent by Rose Iron Works Collections, LLC. 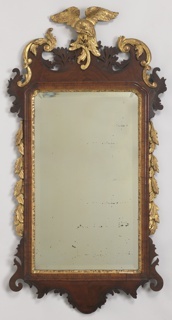 cherry or pearwood, mirror glass, paint, gold leaf. 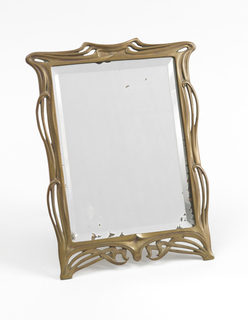 cast brass, beveled mirrored glass. 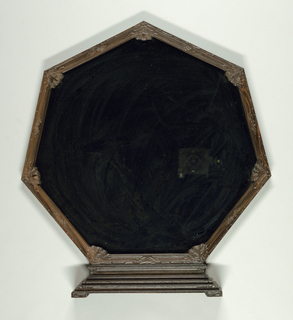 carved wood, mirrored plate glass. 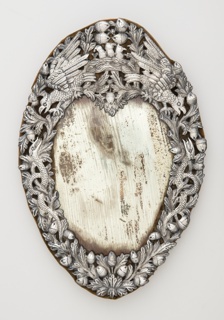 carved bone, velvet-covered wood, mirrored glass. 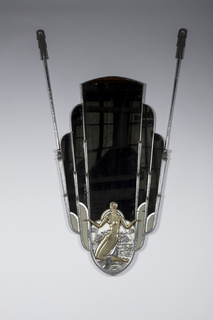 Gift of Ira Howard Levy and Stanley Gurell. 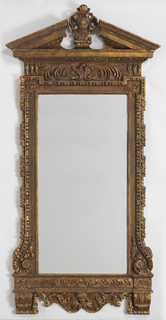 molded and gilt plaster on wood, mirrored plate glass. 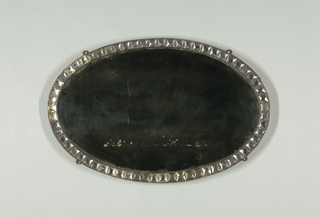 Gift of Thomas Ettinghausen in memory of Richard Ettinghausen. 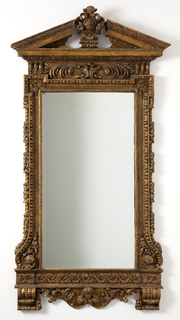 cut glass, mirrored glass, metal, wood. 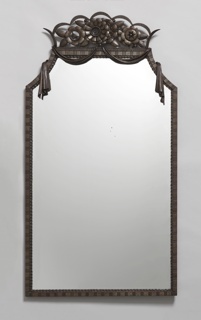 cast and patinated bronze with beveled mirrored plate glass. 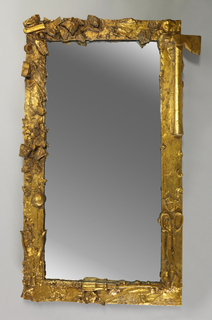 carved, gessoed and gilt pine, mirrored glass. Bequest of Mary Hayward Weir. H x diam. 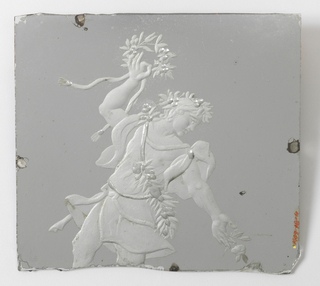 : 1.5 x 21.5 cm (9/16 x 8 7/16 in.). 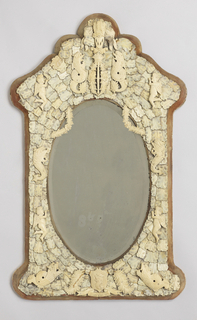 gessoed, gilt and carved wood, mirroed plate glass. H x diam. 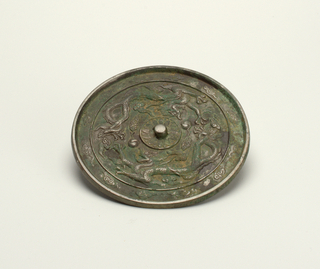 : 1.5 x 23.5 cm (9/16 x 9 1/4 in.). 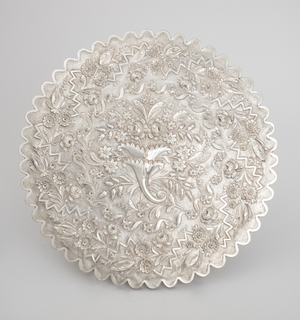 Gift of Mrs. Max Farrand. 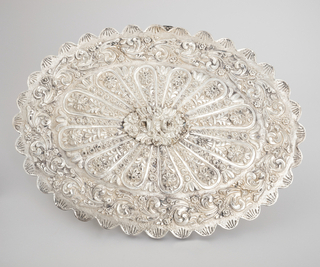 repoussé and chased silver, mirrored plate glass. 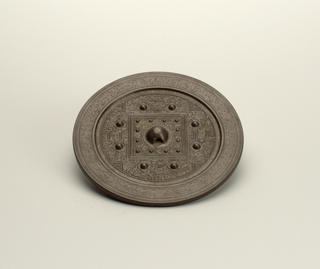 japanned wood, mirrored plate glass. 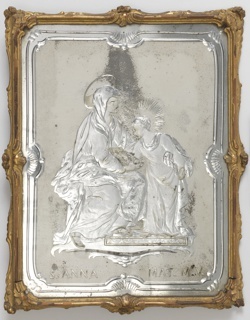 engraved and silvered glass, carved, gessoed, and gilt wood. 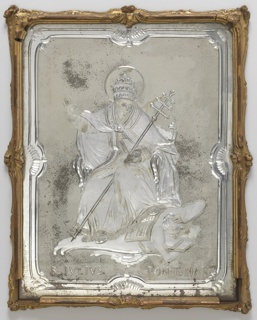 engraved and silvered glass; carved, gessoed, and gilt wood.